Undergraduate journalism student Ruth Whyman’s Twitter bio sums it up nicely: native brit, studying journalism, rowing at the UW, and on the road to the 2016 Olympics. She makes it sound easy, juggling school and a full-time training schedule, but the path to the Olympics won’t be easy. Whyman doesn’t want to wonder “what if?” or have to tell her children “I could have been” in the future, and it’s often the adrenaline that pushes her through. Whyman is from Gloucestershire, England and began rowing at age 11. She had always been athletic and went to a school that encouraged extracurricular activities. When she was making the shift from primary to secondary school, she decided to go for a sports scholarship. If it wasn’t for a perfect stranger, she may have never even tried rowing. Whyman never expected that her rowing hobby would land her halfway around the world. 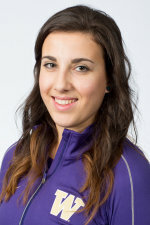 She was recruited by UW Director of Rowing and the women’s head coach Bob Ernst after the 2010 Junior World Championships, where her boat took home the gold in Račice, Czech Republic. 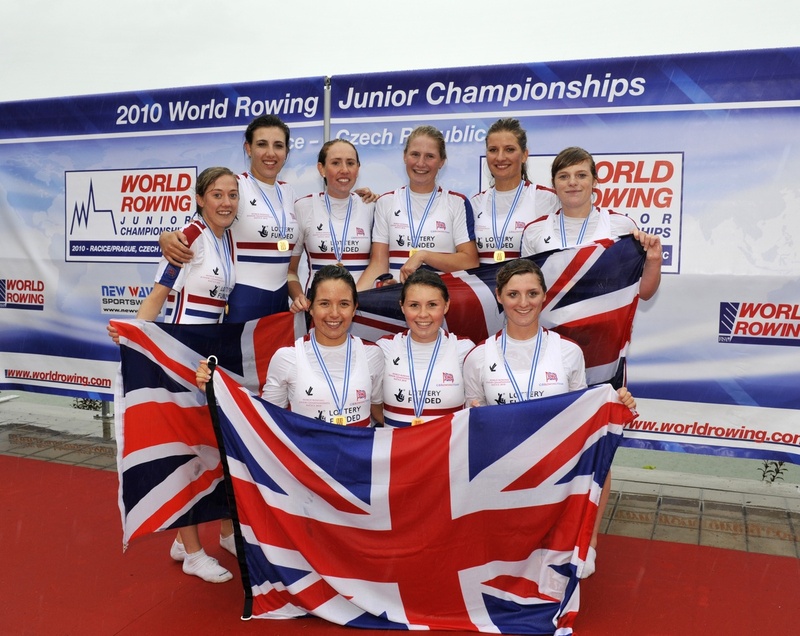 Ruth Whyman (top row, second from left) with her team after winning the 2010 Junior World Championships. Photo via britishrowing.org. Whyman came to Seattle for a short visit while she was taking a break from school and training full-time. They decided it was a good fit and she has been rowing in the first varsity boat ever since. Whyman isn’t the only international student on the team and they all bring unique experiences to create a cohesive unit. One aspect of the UW that Whyman liked was the flexibility to try out different academic subjects since she had no clue what she wanted to do. In Great Britain students enter a university already having declared a major. Whyman said rather than choosing journalism, she was just drawn to it based on her skills and what she enjoys: talking to people and finding out what they’re about, writing, and thriving off of organization and deadlines. Whyman is taking the academic side of things a quarter at a time, while maintaining an intensive training schedule. Whyman’s day starts at 5 a.m. every day to get ready for morning practice. Classes are in the afternoon and then more often than not, she’s back out with the team around 3 p.m. The UW women’s crew team competed in the NCAA National Championships last weekend in Indianapolis, placing fifth in the grand final with Ernst, who has been coaching rowing at the UW for 40 years, behind them. Next, Whyman is on her way home to train with the Great Britain National team for the Under 23 category. While it is difficult juggling the full-time training schedule of being on a National team, she hopes to continue finding chances to write.